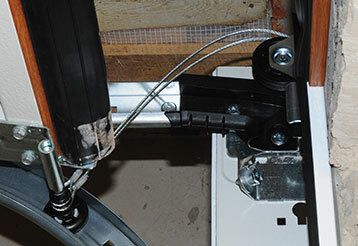 We know dealing with garage door problems can be incredibly annoying and frustrating. That's why we always aim to complete every project as quickly as possible, and to make sure our solutions lasts for a very long time. Here are different examples of our latest work. Customer Issue: One of the rollers on the right side of the overhead door stopped rolling. It had one job. One. Job. Our Solution: The team manually raised the door and unscrewed the offending roller. After checking the others to make sure there were no other problems, they oiled the tracks, screwed and tightened the replacement roller in place, and put the door back on its tracks. Customer Issue: Mr. Hopkins was unable to get his door opener to work. 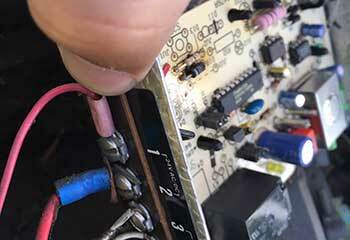 Our Solution: Our technician found the opener's circuit board was damaged. He replaced the board which cured the problem. We then performed standard maintenance to insure the door was operating properly. 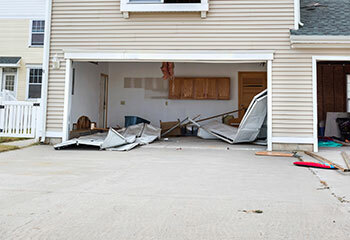 Customer Issue: Mr. Craig called us to replace some damaged panels in his garage door. Our Solution: We ordered replacement panels from the door manufacturer. When they arrived, we replaced them to his complete satisfaction. We then made sure the door was operating properly before leaving. 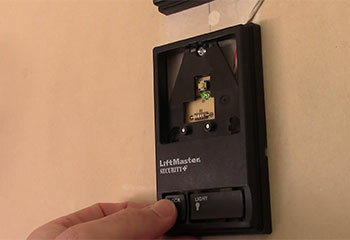 Customer Issue: Mr. Cameron was unable to get his garage door remote control to work. Our Solution: Our technician found that the batteries were okay, so he then reset the remote and reprogrammed it to get it to work again properly.